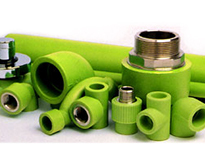 Applicable to water pipes, gas pipes, high-voltage power protective pipes, sewage ducts, pipes for chemicals, pipes for telecommunications, pipes for irrigation, low-temp. pipes, pipes for various industrial uses. Through the test reported by ISO certificate and ASTM, HDPE is durable to 50 years or above if normally used. 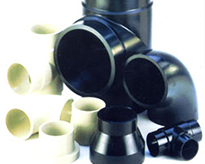 HDPE is formed by extrusion with HDPE material, no heavy metal additive and sedative, an environmental-friendly pipe material to modern life. HDPE is soft and firm also with the features of both metal pipe and plastic hose, able to conquer strong shock, heavy pressure, earth layer distortion and so on calamity, especially good for the area with frequently seismic activity such as Taiwan. HDPE has extremely low activity, cannot be connected by any existing adhesive. So its inhibition is bang-up, most suitable to sewage drainage for lab, factory and industrial area, with its feature of excellent anti-corrosiveness. 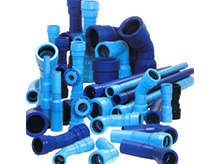 HDPE has sleeker interior than other pipe types, not subject to be cohered by any matter. Its water supplying is 1.3 times than that of metal pipe in same pipe diameter. HDPE's safe temperature ranges from -60℃ to 60℃ for still better performance under low temperature and premium weather resistance. 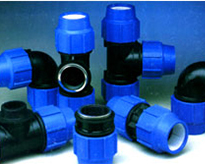 HDPE has stretch rate up to 350%,can bear direct heavy pressure without any surface fracture. 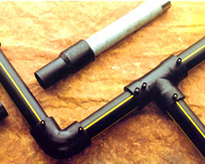 HDPE pipe features strong flexibility for easy bending and bending without heat, small caliber pipe can be formed to coil pipe for lowered joint cost. Density0.941~0.955g/cm³ , lighter than water, fast and simple carrying and installation. Except transparent pipe, HDPE pipe added with 2~2.5% carbon black and other colors(Master-batch), can resist UV for longer service life.